Here is a map shows territory of Belarus, of Russia. town Rudnya free download. You can find here town Demidov presented. town Golynki marked. You can find here town Katyn' presented. Zyuz'ki free download. You can find here Zyki marked. Zimukhi presented. On this map Zhivutitsy download for free. Zhivalevo free download. Zhivadry free download. Displayed Zhichitsy download for free. Displayed Zhelobnya free download. On this map Zenenki free download. You can find here Zelenoye download for free. 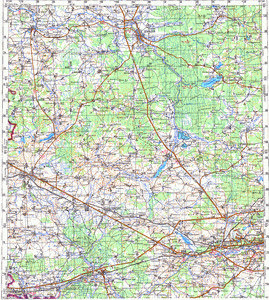 On this map Zavidovka Pervaya marked. On this map Zaruby for Garmin. You can find here Zarubinki for Garmin.